The fizzy probiotic beverage made from fermented tea is now the health food world’s “It” beverage. 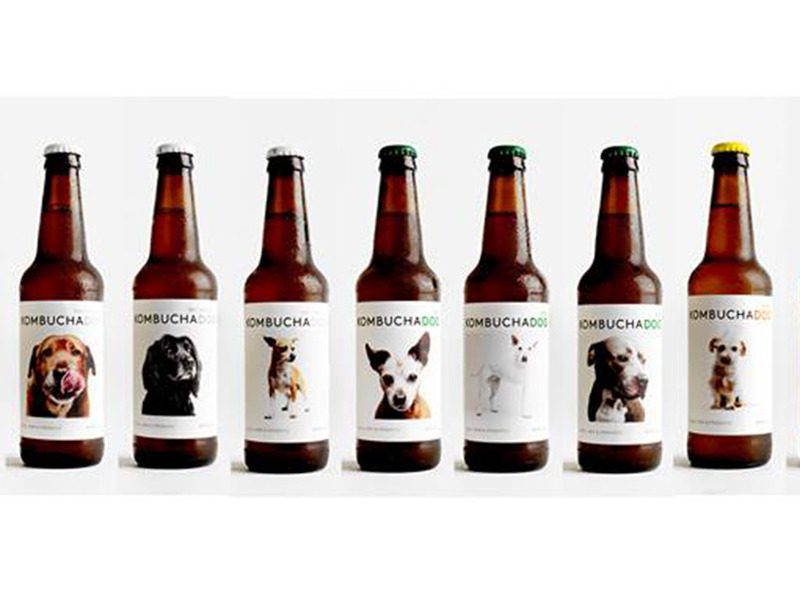 Raw organic KOMBUCHA DOG is one of the smaller local players, but the brand’s undiluted brew delivers a flavor wallop (not to mention an alcohol content of 1.4 percent). The basic bubbly variety is heady bordering on smoky and also comes tinged with wild blueberries or ginger. Just in case you like the pooch on the label, it’s up for adoption.